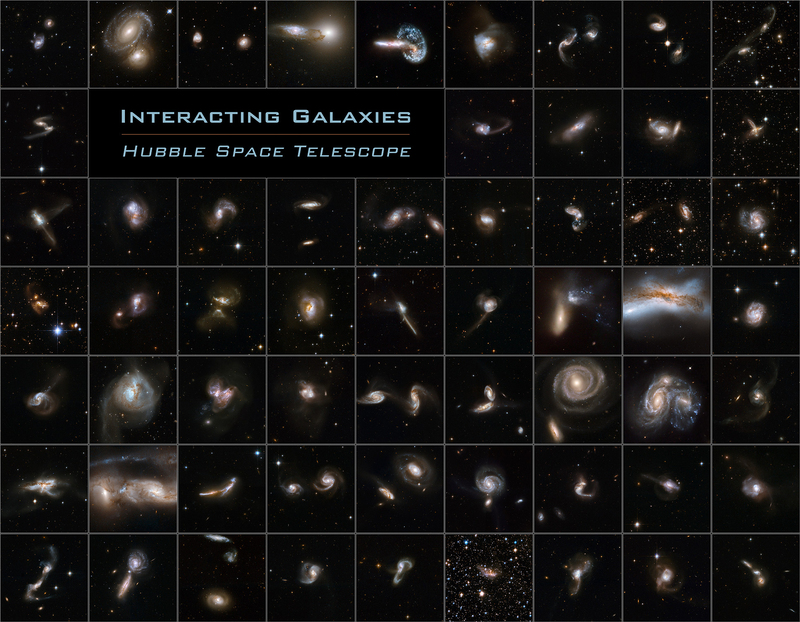 NASA's Hubble Space Telescope has recently provided us with 59 new images showing not the typical placid galactic images, but rather, images of immense galactic violence. Galactic mergers are quite a rare sight, but by looking at distant galaxies, astronomers can see mergers that occurred millions of years ago, when galaxies were much closer together. Since the light from these mergers takes millions of years to reach us, its almost as if we can look "back in time" to view these ancient, violent mergers. 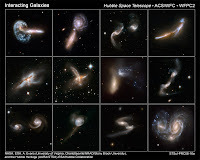 Astronomers at NASA can use the Hubble Space Telescope to image these amazingly intricate colliding galaxies. These images are more than just beautiful views of galaxies, however. These images lend new insights into how the universe was when it was young. They show a much more violent early universe, where galaxies merged much more frequently. It is important to note, however, that these galactic mergers are nothing for us to worry about. These mergers take monumental amounts of time to occur, typically on the order of hundreds of millions of years. Also, the stars in galaxies are so spread out that there is an extremely slim chance of collisions. Our galaxy, in fact, may be the product of past mergers. Galactic mergers can even revitalize old galaxies, giving them a burst of star formation. The image below is a compilation of some of these images. I'm truly happy to locate this specific website. I simply desired to give you thanks with this large study!! We completely appreciate each and every small little bit of this. Right now click here Cash Advance I've a person saved to try out brand new material a person publishes.